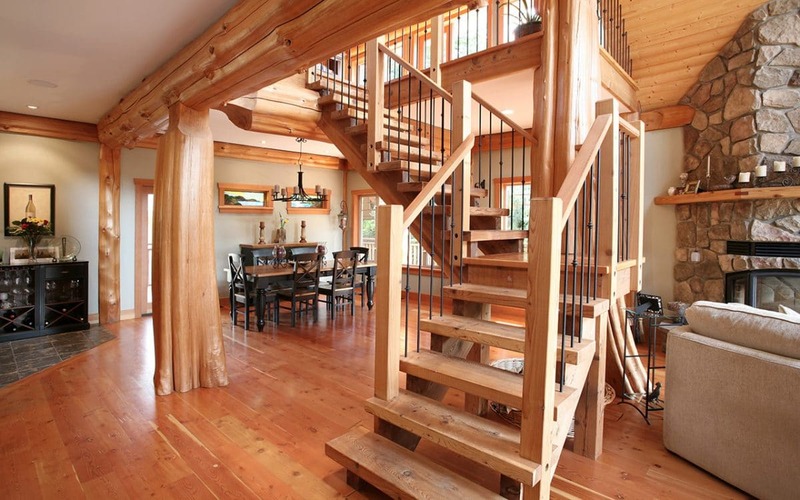 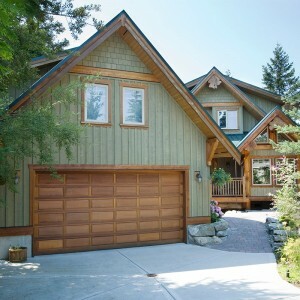 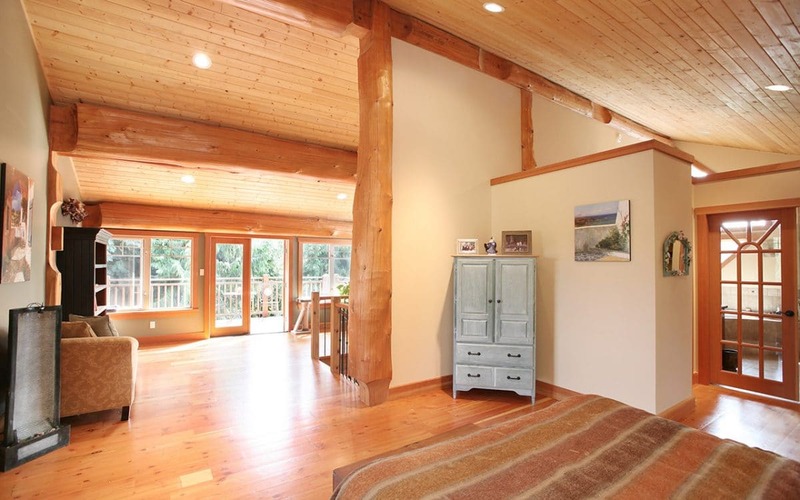 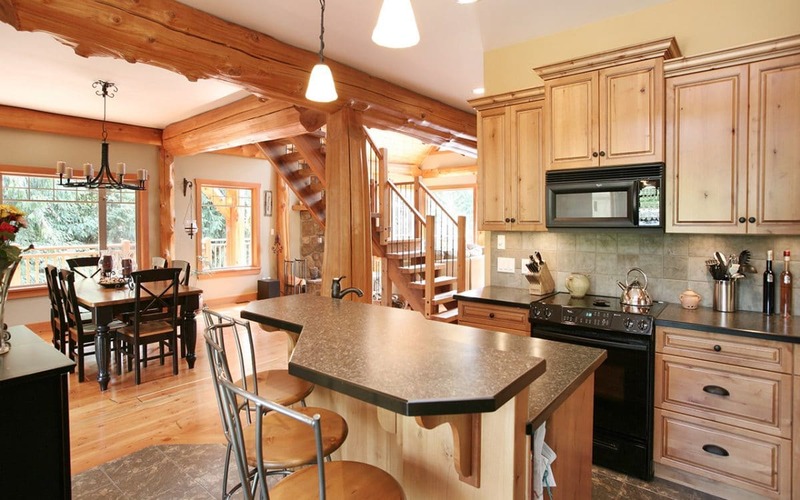 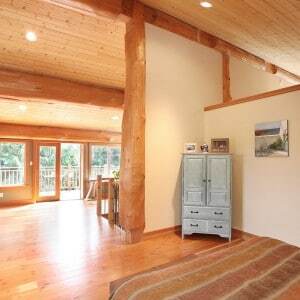 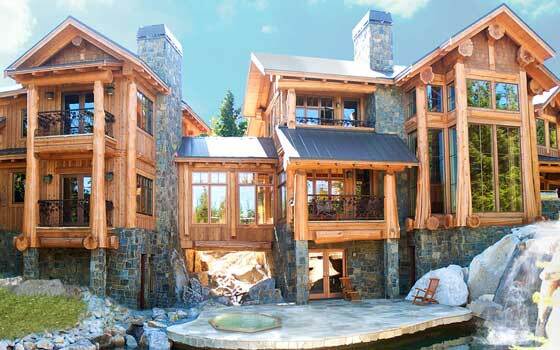 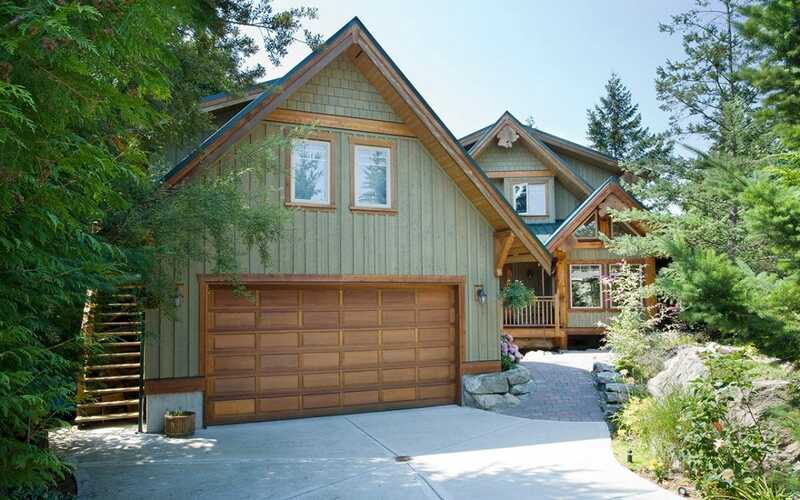 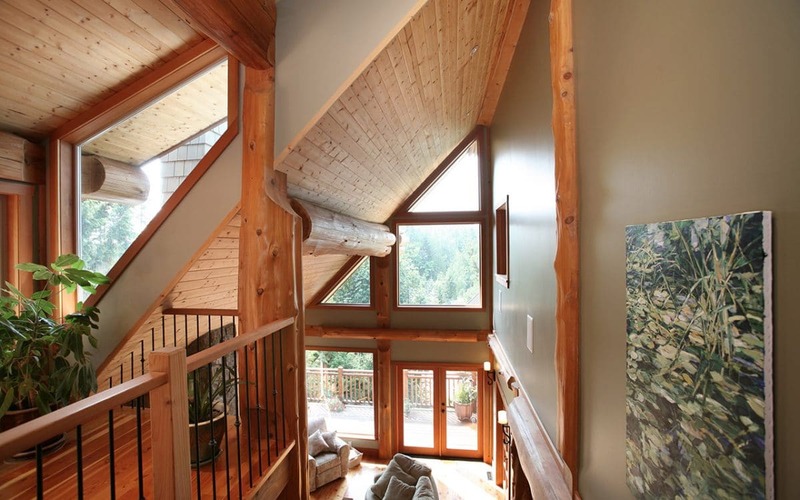 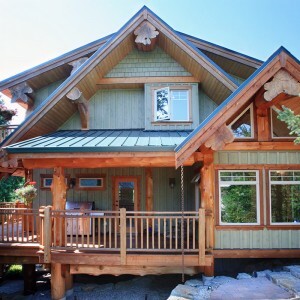 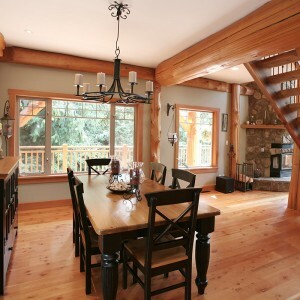 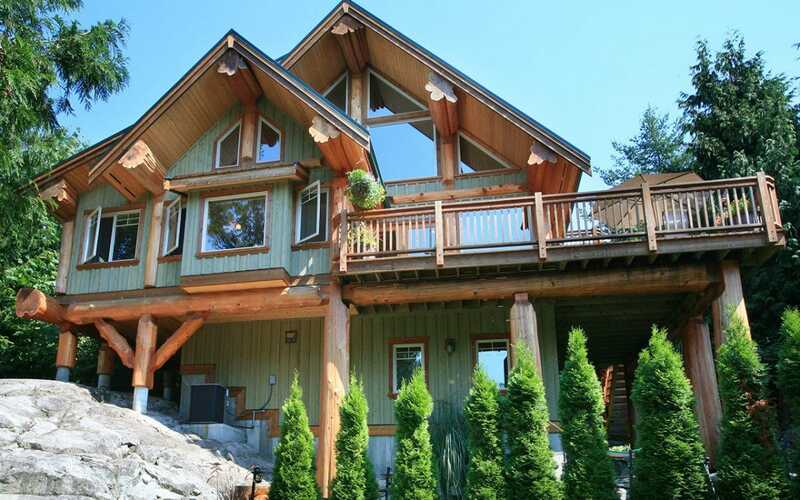 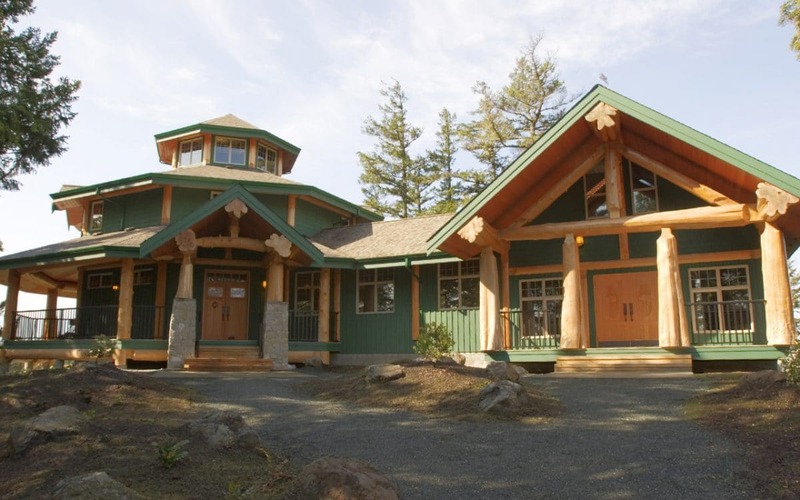 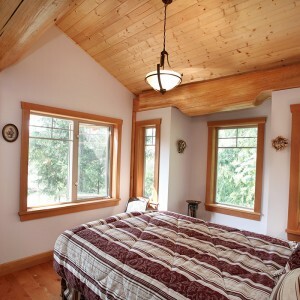 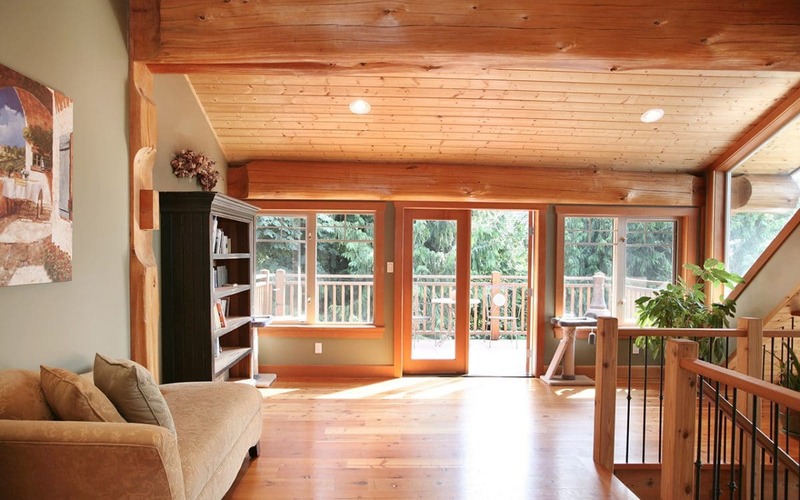 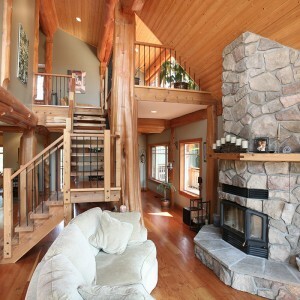 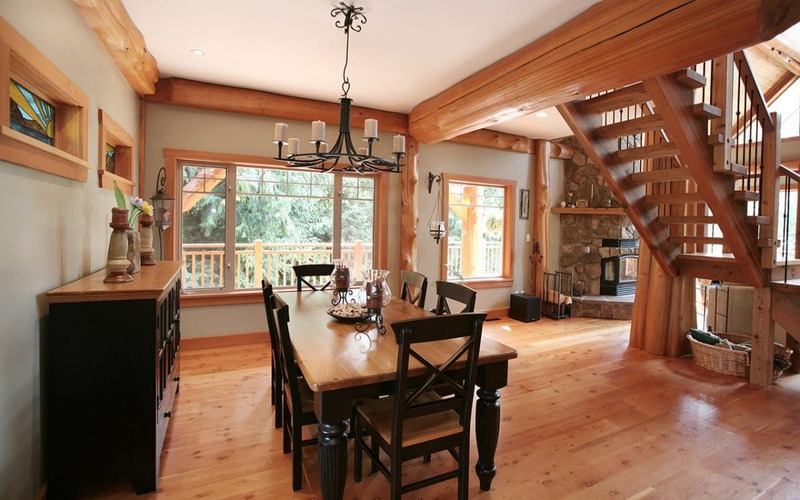 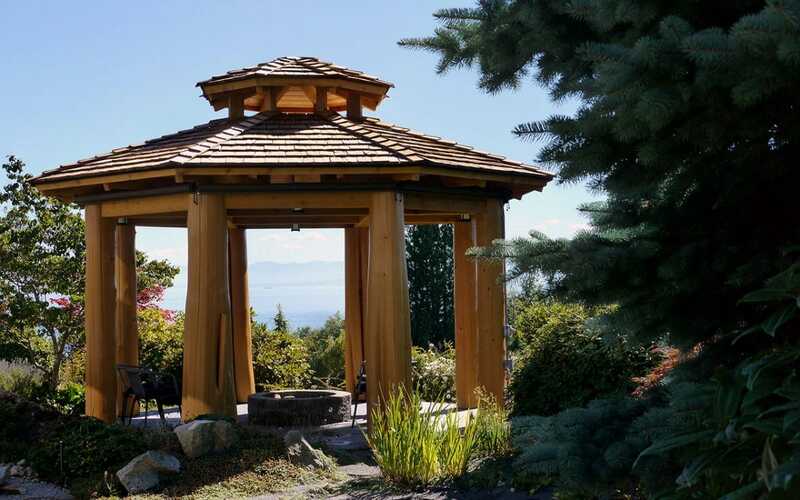 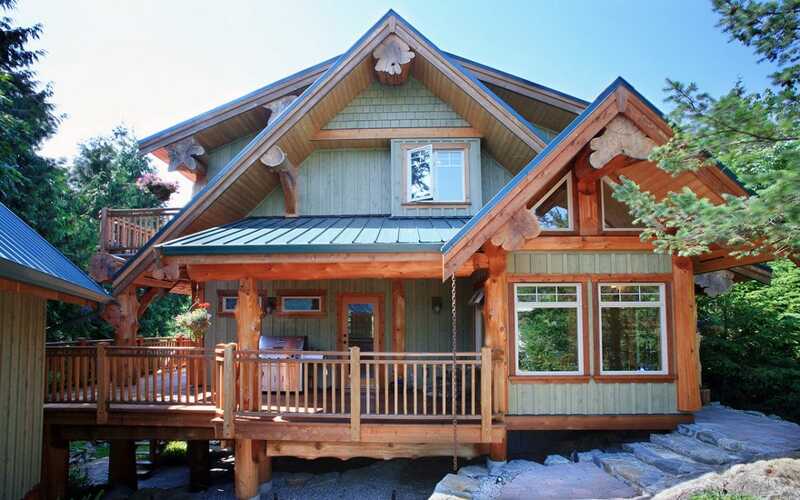 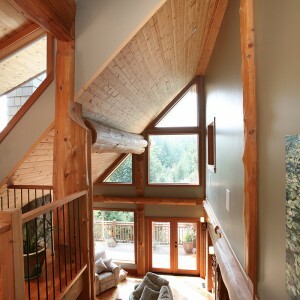 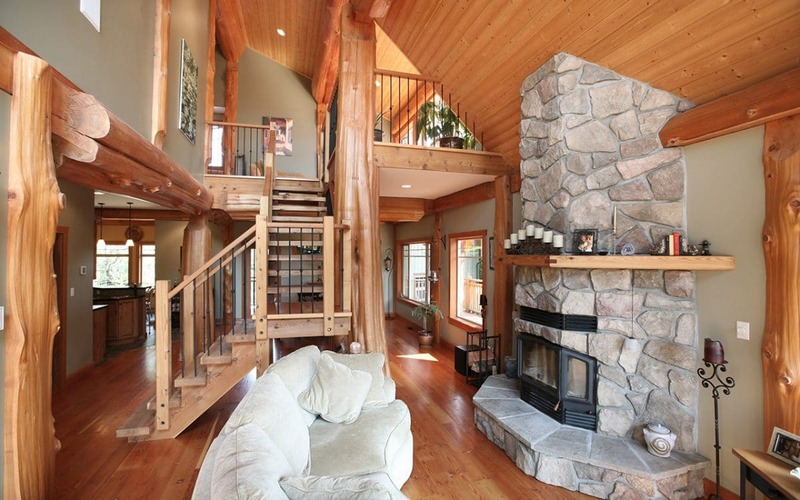 This two bedroom home is fitted harmoniously to its surroundings in Halfmoon Bay, BC. 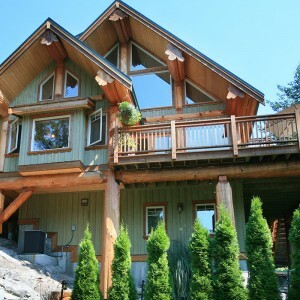 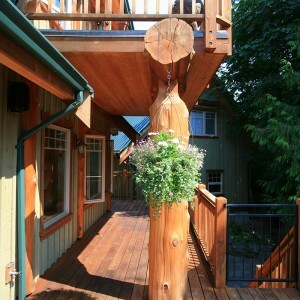 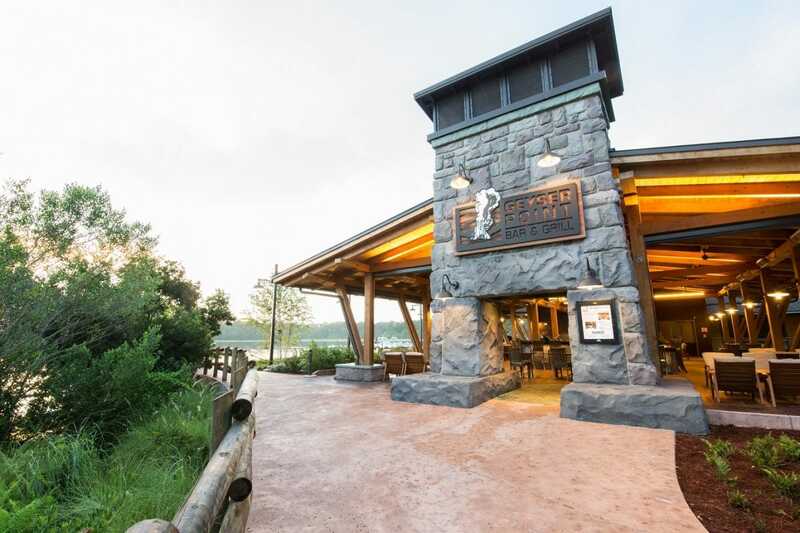 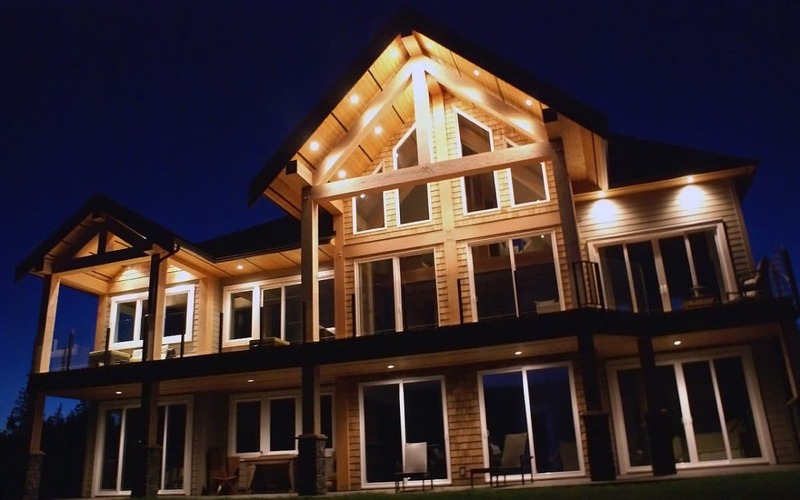 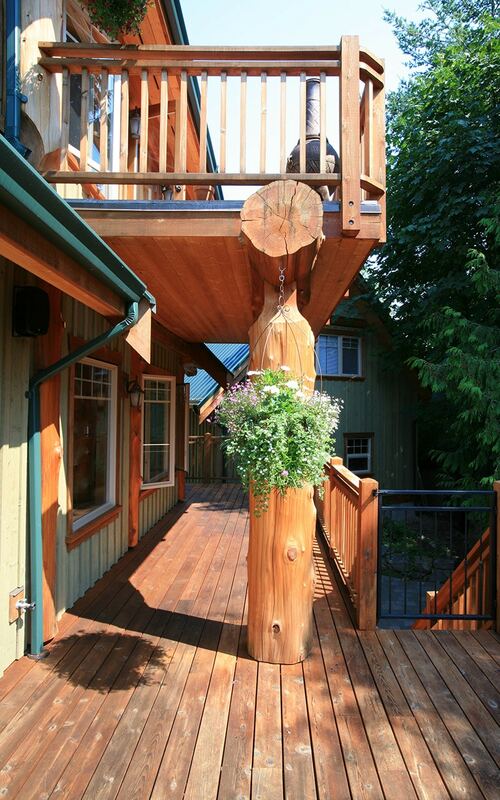 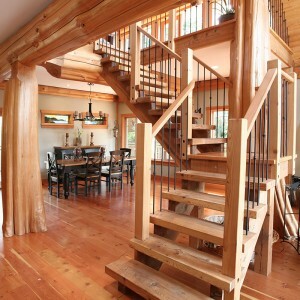 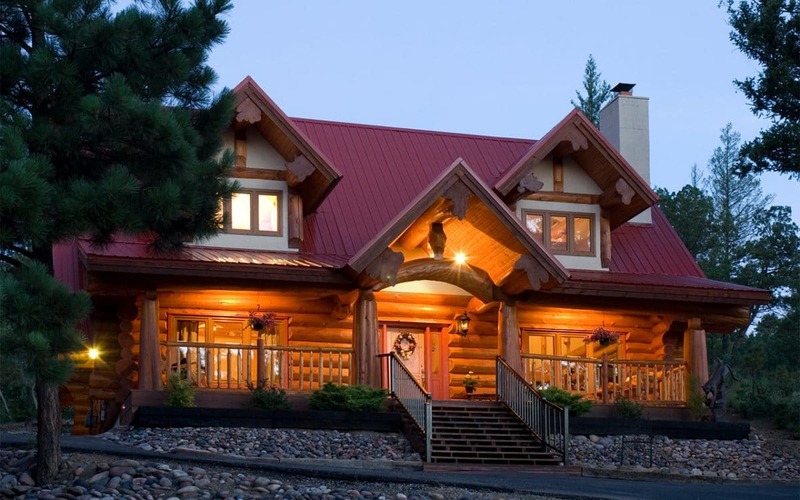 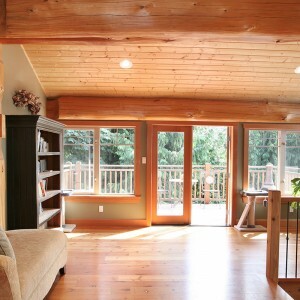 The home features a cedar post and beam log structure with a number of decks to take advantage of outdoor living. 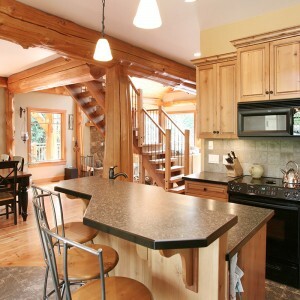 The impressive kitchen in this home was custom built by the owner. 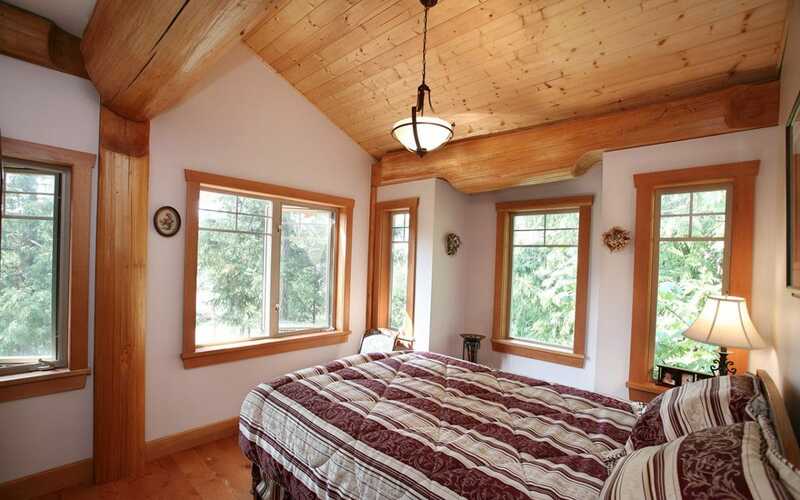 Additionally the home has a detached garage with a suite above for guests and family.